If the pictures above were of myself after a trail run, I would consider it normal. I expect to get wet and muddy when I’m running through a forest on a loosely-marked trail. But these pictures are not post-trail run; they are from a run around suburban Long Island. 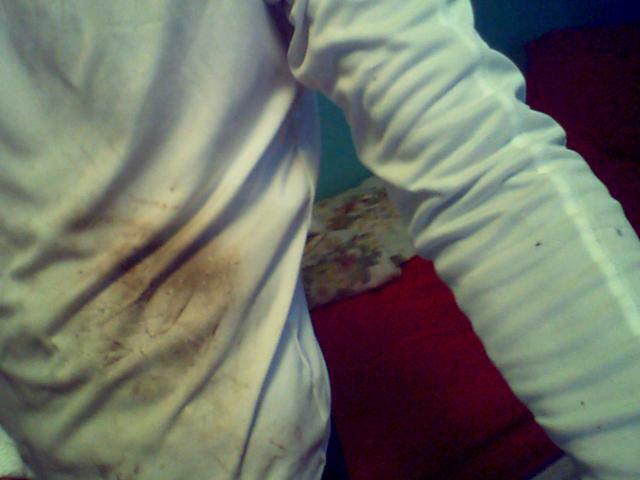 How did I get so dirty? It all began when I looked out the window and saw it was beginning to snow. Great, I thought, that should make my run more enjoyable. 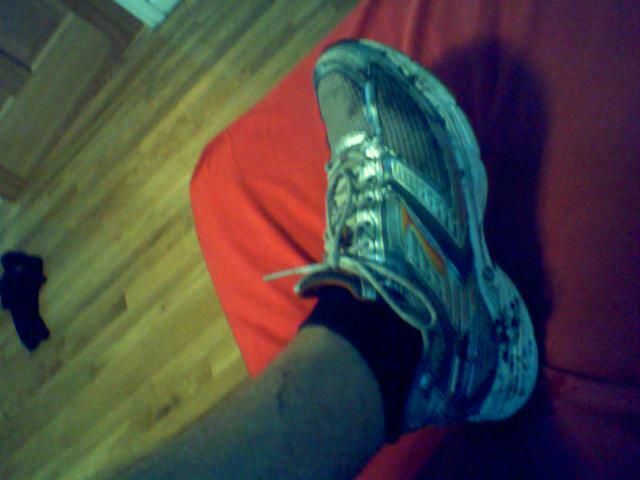 A few minutes later I was all dressed, so I tied my shoes and headed into the snow for a five mile run. The snow had somewhat increased in intensity since I had glanced out the window, and it was blinding me. Every time I looked up a snowflake flew into my eye, and all I could think about while this was happening was the very pointy structure of snowflakes and the damage it was doing to my eyeballs. I devised a system where I was always looking either straight down or completely to one side, so my eyes were never exposed to the snow. Perhaps this system influenced my field of vision. I was running by a school when I saw a student in front of me and decided to go around him instead of making him move; there looked to be enough room to pass him. I began to turn to the right, when suddenly I lost my footing on a muddy patch and flopped right into the mud in front of a few dozen highly amused children. The next three miles I was convinced I was entirely caked in mud, and that everyone was staring at me as though I was crazy. Well, the mud stains weren’t as bad as I had imagined, but I’m sure people still thought I was crazy. I was, after all, running through a snowstorm in shorts. Shorts were a bad idea. As was stepping outside my door. As you know if you live most anywhere in northeastern United States, there has been a blizzard. Not the worst I’ve seen, but enough to make running quite difficult. And running in shorts quite uncomfortable. Interestingly, my legs were not actually all that cold; I wasn’t particularly cold at all the entire run. But I was not happy. Much of the sidewalks on my run were not shoveled and those that were often ended abruptly at a gigantic pile of snow. This really bothers me: if you’re going to shovel your walk, and you happen to live on a corner, please shovel a path to the street. Otherwise you’re creating a dead end, forcing people to clamber over snow. And while most people don’t have us runners in mind while shoveling, it’s extremely frustrating to be running only to have to stop at every corner to literally climb over snow piles taller than the runner. I’m ranting, I know, but it did bother me quite a bit on my run. I took it in stride mainly because if I stopped the snow would seep even further into my already soaked socks.